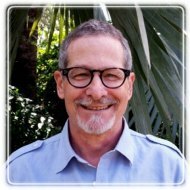 Boca Raton Therapist: Richard Loebl - Therapist 33431. Is your relationship in trouble, with too much fighting and too little intimacy? I specialize in helping couples create or rebuild secure and loving relationships. My personalized approach is based on the new science of love and relationships. Couples react to each other emotionally when their needs are unfulfilled, or when they feel hurt by each other. Together, we can understand distressing relationship patterns, and create a new, satisfying partnership. I also specialize in helping men who struggle with relationships, anger, shame, and work issues. My collaborative approach with men is direct and practical. We work together by tapping into the natural strength, wisdom and masculine sensitivity inherent in every man. Our Center now offers retreats and intensive counseling services for couples. These 1-3 day intensives are the most effective programs for couples in distress. Please see our web site for additional details. My practice, the Relationship Center of South Florida, also includes several counselors and therapists who help women with relationship problems, parenting issues, anxiety, depression, eating disorders, and other concerns. We offer women's therapy groups, and supportive, empathetic individual counseling for women of all ages. Weekend Retreats and Workshops for Couples - Our Center offers highly individualized weekend intensive marriage counseling retreats for one couple only, or for small groups of 4-6 couples. For more information, please visit our web site.